Compare prices on car hire in Vienna from all the major brands and find the best deals. When you book through us, unlimited mileage and insurance are always included in the price given. Vienna is Austria’s capital and largest city. In 2009 the population was estimated at nearly 1 700 000This beautiful city is located in north-western corner of Austria, next to Europe’s second longest river Danube. 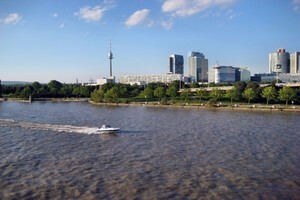 On the other side of the river, a little further north, is that Bratislava is the capital of Slovakia . Vienna is a tourist town a lot because of the many theaters, opera scenes, historic buildings and museums. The city has long been known to be a center for culture, music and science, and the University of Vienna was founded in 1365, making it one of Europe’s oldest. Famous composers such as Wolfgang Amadeus Mozart, Joseph Haydn and Ludwig van Beethoven lived here. In the great Mozart’s house is the exhibition that shows Mozart’s life, and in the House of Music, you can try out as a conductor. Vienna United National Airport is the largest and busiest airport in Austria, and is located about 16 km outside Vienna’s city center. Car-hire.net offers car hire at several locations in the city of Vienna and the Vienna International Airport. The prices of car rental includes all necessary insurance and free kilomter and any airport tax.